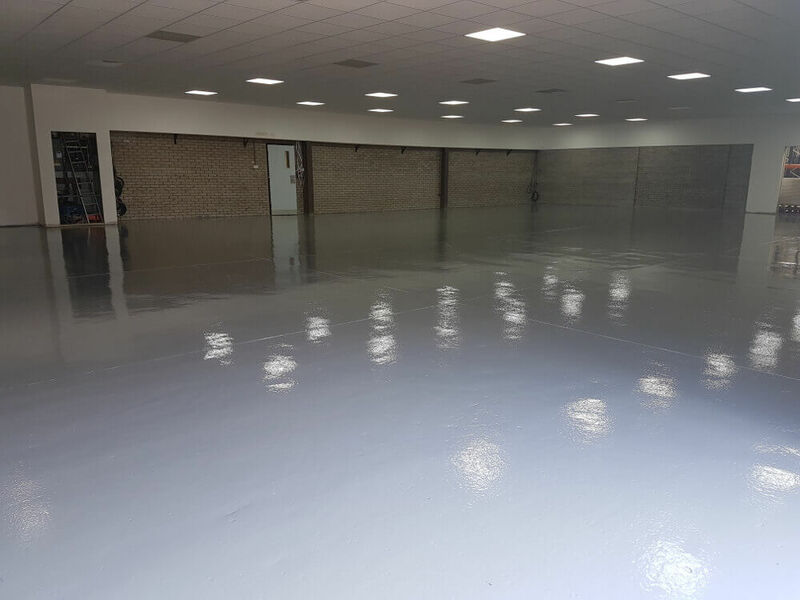 For Wynnstay, we applied our Virtus’ Strongcoat, a premium high build epoxy coating. This has been proven to be the perfect floor finish for retail spaces in other stores. 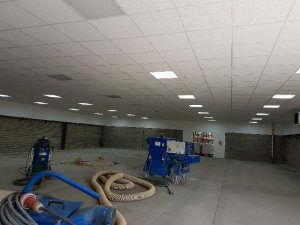 Our Flowstone team got to work applying the high-performance coating system, and completed the job in just 3-days. When it comes to coating systems, it is imperative that the substrate is thoroughly prepared first. Our specialist in-house surface preparation team undertook some localised repairs of bolt holes and damaged areas of concrete. Following this, we mobilised our Blastrac shotblasting machine, which the team have affectionately named “Bertha”. Bertha then blasts and grinds the existing slabs to give a clean and profiled finish that facilitates a strong bond with the resin coating. Here at Flowstone we are big fans of Virtus. Virtus is a strongcoat which we have installed into a wide variety of industrial and commercial environments. It is able to stand up to foot and wheeled traffic (including forklifts), and can be made anti-slip with the addition on an aggregate between the two coats that make up the system. As well as this, it is easily cleanable, offers excellent abrasion and chemical resistance, and comes in a range of colours.